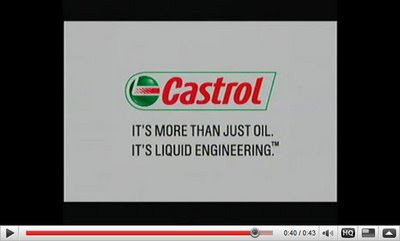 Switching channels I watched some adverts (Television Commercials -TVCs) of Castrol lubricant, now its not just oil its liquid engineering. As wikipedia says “Castrol is a brand of industrial and automotive lubricants which is applied to a large range of oils, greases and similar products for most lubrication applications. I hope you also found the advert amazingly stupid and though animated but insane :). But the point here is adverts should connect directly with the intended audience be it one who wants to understand liquid engineering, or one who wants to pay more for oil and less for the maintenance or even one who thinks Rajnikant is god. And yes the three ads have covered cars, trucks and bikes as well. I’m not an Ad. guru or a marketing specialist but as a normal viewer I admire the above ads. and the way they are presented.